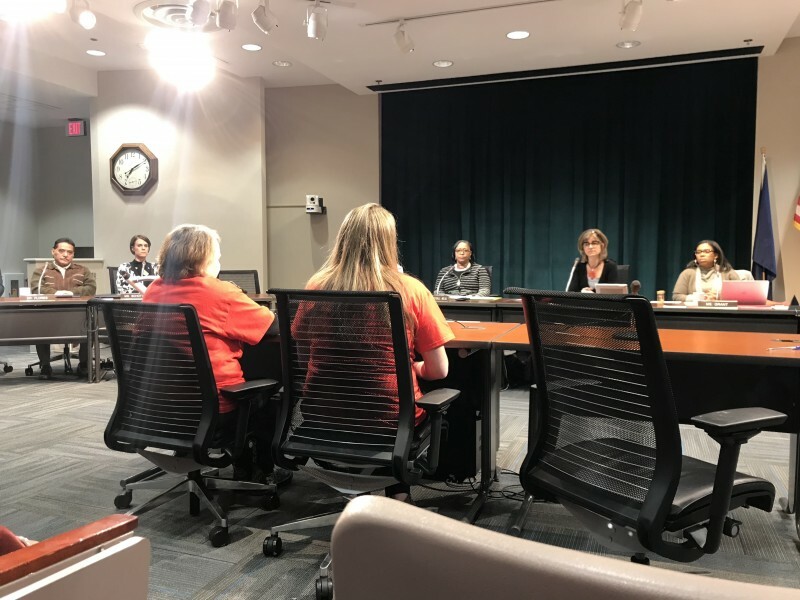 A Grand Rapids Public Schools board meeting held on April 16, 2018 was a contentious meeting, preceded by a protest outside the administration buildings by special education advocates and ending in shouting and a call to the Grand Rapids Police Department over an alleged altercation between the head of school security, Larry Johnson and the leader of the advocate group, Lily Cheng Schulting. The protesters, organized by a group called the Disability A-Team of West Michigan, have been advocating for special education reforms. The protesters are calling for the removal of Superintendent Teresa Weatherall Neal after her refusal to remove Laura LaMore, Executive Director of Special Education and Early Intervention Services at GRPS. Before the meeting even began, 17-20 protesters gathered outside the school’s administration building in the cold with signs reading “847 Strong Can’t Be Wrong,” referring to the 847 who signed a petition to remove LaMore; “No More LaMore,” “Save Special Education,” and “My outrage won’t fit on a sign” were others. The group, many wearing red T-shirts saying “#GRstands,” took up most of the public comment time after other official business was concluded. Action items included the passage of bylaws #1800 - Public School Academies, #2250 - Superintendent’s Evaluation, #8045 - Homeless Children, #8255 Terrorist Threats/Acts, #9190 - Interviews with Students, #9840 - Student Teaching Internships, and the elimination of policy #9830 - Colleges and Universities. The only bylaw drawing comment was the one on terrorist threats and acts, with Dr. Jose Flores desiring a stricter zero tolerance policy and voting no on the measure. 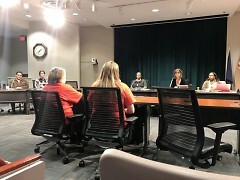 Sixteen people spoke during the public comment time, mostly about concerns with GRPS’ handling of its special education classes and facilities, some trying to talk past their allotted three minutes. Some expressed frustration at not feeling heard, others expressed anger and called for the removal or firing of Superintendent Teresa Weatherall Neal. Others told stories about working in special education, having disabilities themselves or raising a child with special needs. Two from the protest group shared their time and read from the petition to remove Neal. “Every week we’re here, every week we speak on it, and have you ever considered if your own children, if your own grandchildren, were in special ed and getting treated the way these kids do? The food they serve is moldy, the toilets don’t fit and aren’t fixed, there’s no privacy," said Mari Jo Thompson. “I think this is my third or fourth time here and I’m ready to go for another 100 meetings, but I hope it doesn’t come down to that. I’m hoping that we’ll fix our special education programs, I’m hoping that we’ll be heard. 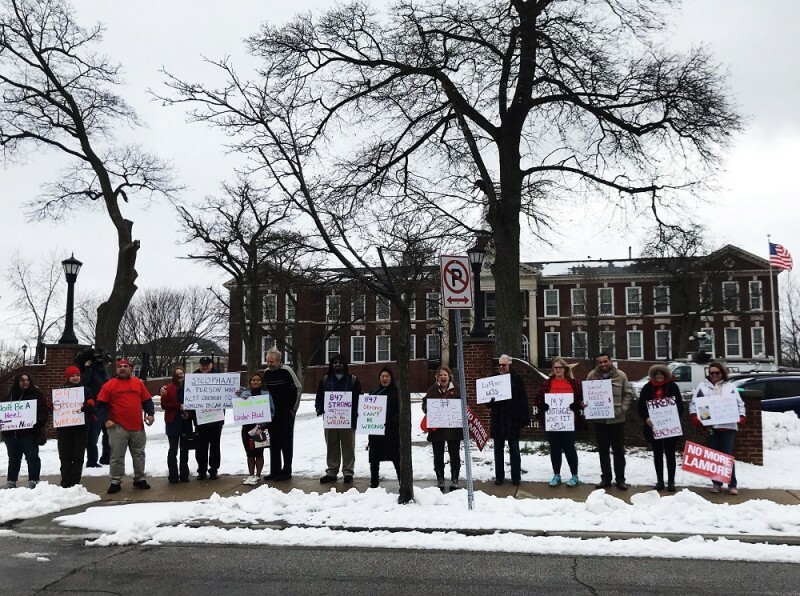 We had 847 special education teachers and staff sign that petition and I’d like to believe also that this is a democracy or something close to it and I’m wondering why we’re not heard," said Natalie Desmarais. The meeting ended on a raucous note with a couple protesters shouting at the board during the board's statement time and Schulting calling on the board to listen to one more speaker who’d come in late. This engendered a loud exchange between Schulting trying to get her speaker heard and Dr. Wendy Falb, who was running the meeting, calling Schulting's comments out of order. When the meeting was adjorned, a couple people from the protest group continued to yell comments at the board. The Grand Rapids Police were called about this alleged altercation and another between a community member and school security. 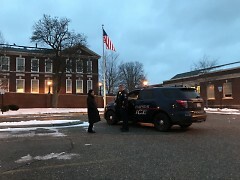 Both Larry Johnson and Lily Schulting gave statements to the GRPD outside the administration buildings after the school board meeting. The next GRPS Board of Education meeting is Monday, May 7, 2018 at 6:30 p.m. in the board chambers (Administration Building). Meeting minutes can be found here, though they have not been updated since the March 5, 2018 meeting.